I bought Spyderco Grasshopper over two weeks ago. I can say it’s nothing special. The knife is easy to use for me, I can open it just with one hand. Since it’s small, you get quite a good grip on it. However, because of its size, its functionality is rather limited. What I don’t like is that blade is loose in the handle and that it has no lock. The quality leaves much to be desired as Spyderco is made of 3Cr13 steel, which is a low carbon, high chromium stainless. I use it at work and at home to cut fruit, open boxes, things like that. But I’m thinking about buying another knife. I've carried the Grasshopper as my EDC since I purchased it. My previous EDC was a first generation Byrd Robin. I've found the Grasshopper to be a solid little knife. I suspect that those who've been more critical of the Grasshopper are expecting the wrong thing out of it. 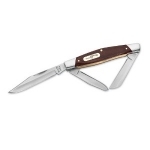 It's a very good, light, small, but really well built and very sharp knife for people who work or spend time in places where a larger knife isn't necessary or would draw unwanted attention. 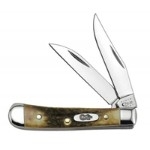 It's a good knife for someone who's work clothes are more khaki and oxford shirt and less Carhartt. If you want a knife to cut rope, breakdown cardboard, or something like that, this is the wrong knife for you. If you want to be able to open mail, peel an apple, or just like having something sharp in your pocket but can't carry something bigger then this is the perfect knife. I've also seen people be critical of the fact that Spyderco chose 3Cr13 steel for this blade. It's a thin blade and a harder (more brittle steel) would likely snap with a blade this thin. The 3Cr13 makes sense in this application. Since it's a light duty knife you're not going to be wearing the edge that much and with a softer steel that's less likely to fracture, you don't need to worry about eye protection if you feel like poking something with your knife. Also sharpening and honing is the funnest part about owning knives. I'm surprised this knife has the SpyderCo logo on it. I own other SpyderCo's and absolutely love them. This one however, is nothing special at all. It isn't big enough to cut anything significant, and doesn't grip very well. It doesn't lock, so I wouldn't feel safe about cutting anything, even if I had to. Overall, unless you want to own it for the name, this knife is useless. I picked this little guy up on BladeHq for $7.50 for some fathers day sale, and I must say it was a pretty good buy! Is this a heavy duty knife? No. Is it a good primary EDC? No. But it's an awesome knife to carry anyway! It's small, could go on a keychain, has a very sturdy build, no blade play, and this slipjoint actually seems reliable when opened. It falls in place very tight and snug. Obviously with a knife being this small the ergonomics can't be phenomenal, and they aren't, I only have 3 fingers fit around it and getting a really good grip can be a challenge depending on your hand size. I could really see this being a good EDC in places like New York City or the UK, and at the most a back up EDC for regular carry for everyone else. Enjoy!